Two thousand, six hundred miles of blistering heat, wilderness, and soul searching—that’s what Grace signed up for when she decided to hike the Pacific Crest Trail. It’s not a voyage for beginners, but with no husband and her family still recovering from her brother’s death, Grace is more alone than ever. Refurbishing a house on Maui for an eccentric heiress seems just what Ellie needs to get her life back on track after parting ways with yet another boyfriend. A little separation and hard work will do her good. Except her tropical island paradise brings more than she expected. Still down in the dumps about her relationship status, Ellie takes a snorkeling class to cheer herself up. But when she ends up in deep water, in more ways than one, she panics. It takes Denver’s cool head and strong arms to rescue her. Turns out her savior isn’t just a great swimmer—he’s charming, wealthy, and most importantly, trustworthy. But is her new dream guy everything he claims to be? Just as Ellie’s relationship with her gorgeous neighbor heats up, odd things start happening around the island. Her gardener is found dead, and at night she hears strange noises around her house. When someone leaves a threatening note on her car, Ellie feels like the murderer has her in his sights. And why does Denver never seem to be around when she needs him most? When passions and betrayal get too close to home, will the underside of paradise prove fatal? Or will she finally find the wild passion she’s been looking for? Figuring out your future isn’t easy. But having everything lined up exactly the way you want, only to have it turned upside down in an instant, spells disaster. Bree Acosta has her life under control, and she’s finally on the right path…until a night in Vegas changes everything. It only takes one dance. One innocent touch that isn’t supposed to lead to a mind-blowing kiss…but it does. Now Bree finds herself questioning every decision she’s ever made. 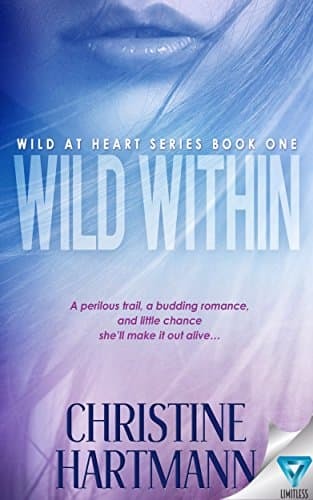 Stuck between what she was convinced would be her future, and what she once thought was her past, Bree needs to figure out where her heart is…and fast. But while she struggles to choose—her options diminishing by the hour, the stakes increasing by the minute—she’s completely unaware that danger lurks around the corner, and it’s waiting for the perfect moment to strike. Still down in the dumps about her relationship status, Ellie takes a snorkeling class to cheer herself up. But when she ends up in deep water, in more ways than one, she panics. It takes Denver's cool head and strong arms to rescue her. Turns out her savior isn't just a great swimmer-he's charming, wealthy, and most importantly, trustworthy. Just as Ellie's relationship with her gorgeous neighbor heats up, odd things start happening around the island. Her gardener is found dead, and at night she hears strange noises around her house. When someone leaves a threatening note on her car, Ellie feels like the murderer has her in his sights. And why does Denver never seem to be around when she needs him most? When passions and betrayal get too close to home, will the underside of paradise prove fatal? 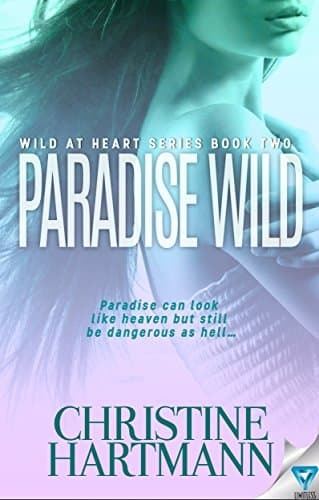 Or will she finally find the wild passion she's been looking for? Figuring out your future isn’t easy. But having everything lined up exactly the way you want, only to have it turned upside down in an instant, spells disaster. 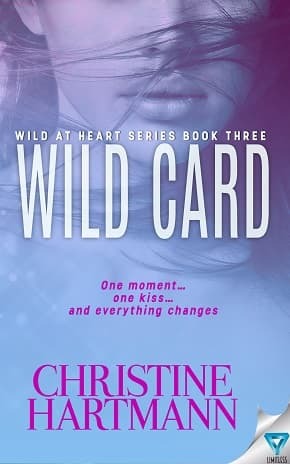 Bree Acosta has her life under control, and she’s finally on the right path…until a night in Vegas changes everything. It only takes one dance. One innocent touch that isn’t supposed to lead to a mind-blowing kiss…but it does. Now Bree finds herself questioning every decision she’s ever made. Stuck between what she was convinced would be her future, and what she once thought was her past, Bree needs to figure out where her heart is…and fast. But while she struggles to choose—her options diminishing by the hour, the stakes increasing by the minute—she’s completely unaware that danger lurks around the corner, and it’s waiting for the perfect moment to strike. 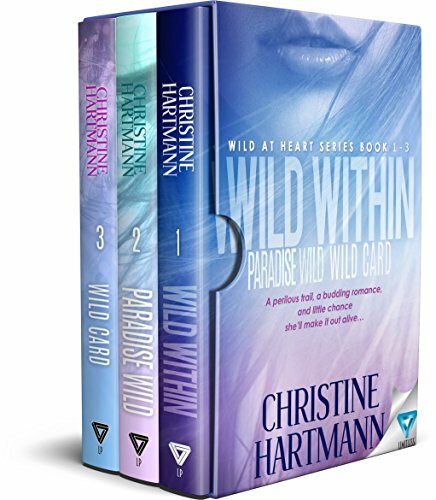 Author Bio: Christine Hartmann grew up in Ohio and Delaware and loves traveling to exotic, romantic settings. After a college semester in Kathmandu, her first three “real” jobs were all in northern Japan, where she lived for almost 10 years. She currently splits her career between her daytime occupation (improving the quality of veterans' nursing home care) and her night/weekend avocation (writing romance, romantic suspense, and women's fiction as well as non-fiction books). Her husband Ron Strickland is a well-known long-distance hiker, trail guide writer, and the founder of the 1,200-mile Pacific Northwest National Scenic Trail. Christine loves reading, pilates, bicycling, snorkeling, and health foods that taste like they're bad for you. You will often find her at a keyboard, a German shepherd at her side, and Ron whispering sweet edits over her shoulder. She's a member of Romance Writers of America.